Marija Spasovska releases her Junior Eurovision song ‘Doma’! 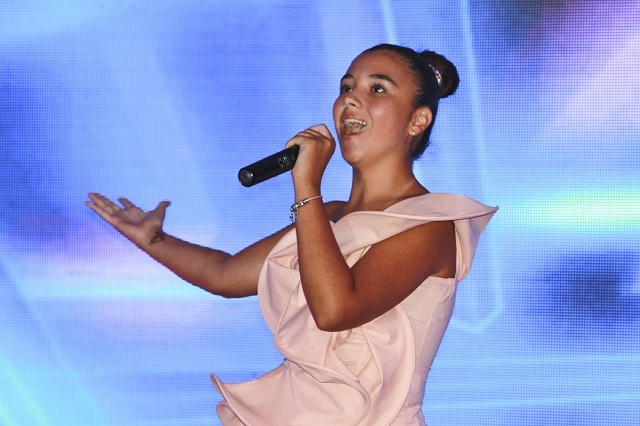 Two months ago we reported on Marija Spasovska having won the internal audition round Macedonian broadcaster MRT had organised for the Junior Song Contest. In the meantime, a song has been written for her and a video has been shot as well! The music video had its premiere today, during the Macedonian TV show ‘Stisni Play’. The song is called ‘Doma’ (English: Home) and was written by Darko Dimitrov. Darko is a famous composer in the ex-Yugoslav countries and is also (partly) behind Eurovision songs like ‘Ninanajna’ by Elena Risteska, Vlatko Lozanoski & Esma Redžepova’s duet ‘Pred da se razdeni’ and as recent as this year: the Serbian entry ‘Nova deca’ and the Macedonian one: ‘Lost & Found’. Marija will represent Macedonia in the Junior Eurovision Song Contest 2018 on the 25th of November in Minsk.